Last Week: Nailed It! – Unfortunately… Not much wind last weekend. Today: It is windy today, but it is out of the east.. I think there is a small chance a NW thermal could develop from Muskegon to Grand Haven mid afternoon. However, I don’t think it is going to materialize. The east wind is going to continue and over power any thermal development. Saturday: A day or two ago, this looked like it would be a good day to head to Little Sable Point, but now it doesn’t even look very good for that. There is going to be south wind, but not very strong and it is going to be mostly cloudy so it will limit the wind picking up at the point. 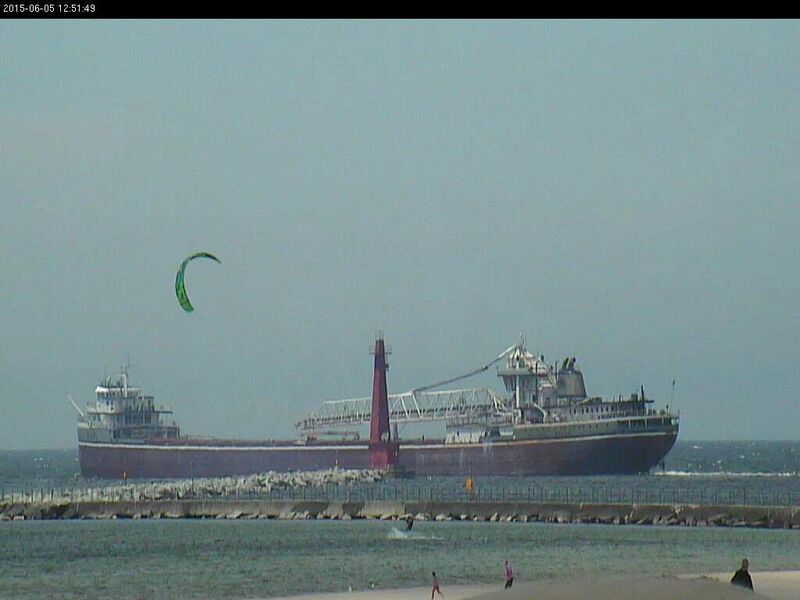 Sunday: It looks like there should be a NW breeze, but just not enough to kiteboard. There is potential for rain which might temporarily pick up the wind in the afternoon. I didn’t want to say it last weekend, but it looks like we’ve gone into a slow period for wind. Usually happens every summer at some point. Our best chance now is to hope for sunny days that allow thermal winds to develop. Also, this east wind today is probably going to turn the water over and make it freezing for the rest of the weekend.